Airlines sued by victims of the September 11 attacks filed complaints with a U.S. court on Tuesday to compel testimony from FBI and CIA agents in a bid to make the federal government more culpable for not preventing the attacks. In separate complaints filed in the U.S. Court for the Southern District of New York, seven U.S. airlines sought testimony from two members of a U.S. Central Intelligence Agency unit that investigated Osama Bin Laden and five current and former FBI agents who investigated al Qaeda. I wouldn't be holding my breath if I were representing the airlines. Some relatives of the victims of September 11 have filed suit against the seven airlines - including AMR Corp.'s American Airlines and UAL Corp.'s United Airlines - seeking damages for personal injury and wrongful death. The airlines said they needed the agents' testimony to prove their actions were reasonable. In seeking the agents' testimony, the airlines argued that "the inability of the federal agencies to detect and stop the plot is a more significant causal circumstance of the terrorist attacks than any allegedly negligent conduct of the aviation parties." This may very well be true, but I would tend to ask where "inability" ends and "unwillingness" begins. Not that any of this will ever see an open court. Both U.S. agencies have refused to allow their agents to be questioned even though they have given public statements about their intelligence knowledge in the past, the airlines said. The FBI and CIA had "far more intelligence information concerning the terrorist threat" than the airlines and knew that two of the suspected hijackers were in the United States, the air carriers argued in court papers. 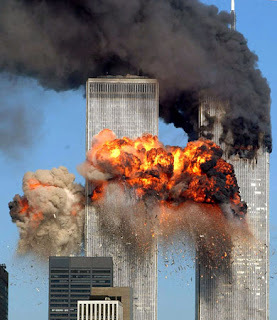 Neither agency warned airlines that two of the September 11 hijackers, Khalid al-Mihdhar and Nawaf al-Hazmi, were potential threats nor did either agency place their names on any "no-fly" lists. FBI special agent Richard Kolko and CIA spokesman George Little said they would not comment on ongoing litigation. Of course they won't. And if there were no litigation ongoing, they would say there was no reason to comment at all. Bottom line: if they ever divulge a nickel's worth of truth, I'll give each of my readers a popsicle.